Think about Nepal and most of us think lofty peaks and trekking. So, when I got an opportunity to explore the wildlife and spiritual side of Nepal, I jumped at the offer. The Himalayan country is home to an impressive array of wildlife and untouched pristine nature. 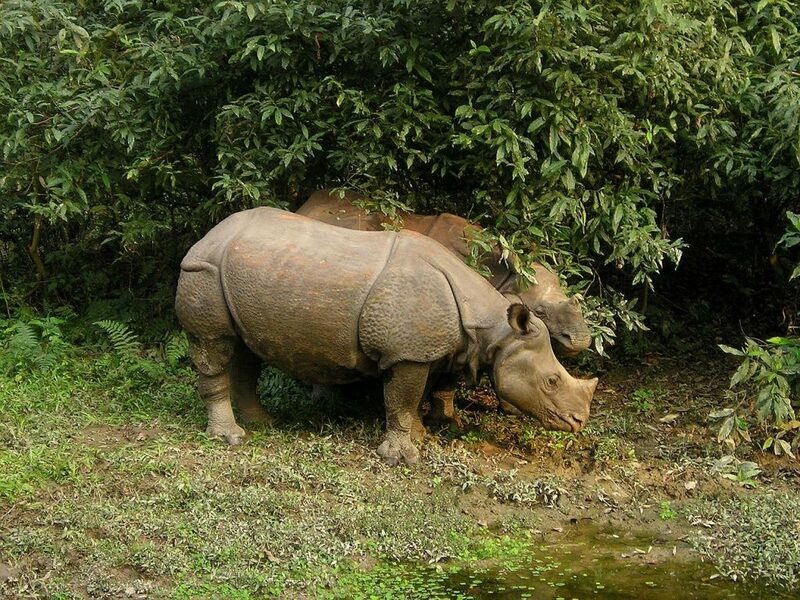 Chitwan National Park is one of the premier drawcards in Nepal. 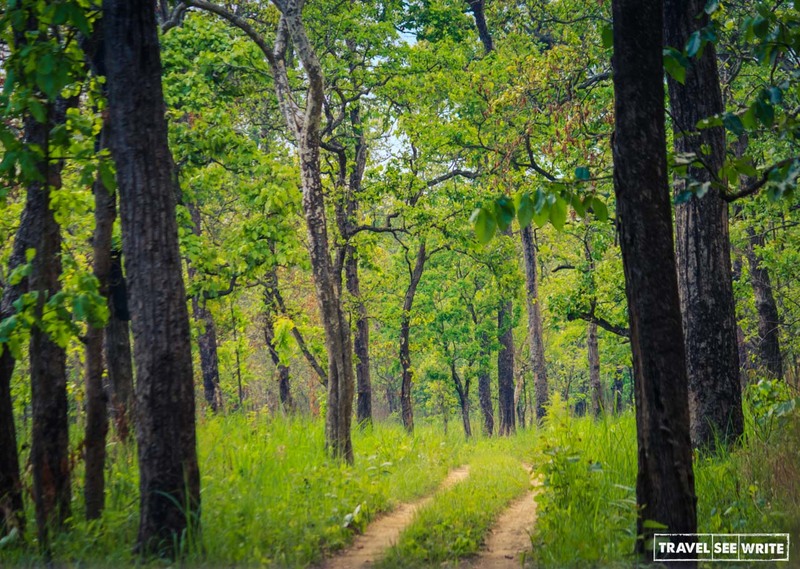 This UNESCO World heritage listed reserve protects more than 932 sq km of forests, marshland and grassland, which once extended over the foothills of India and Nepal. 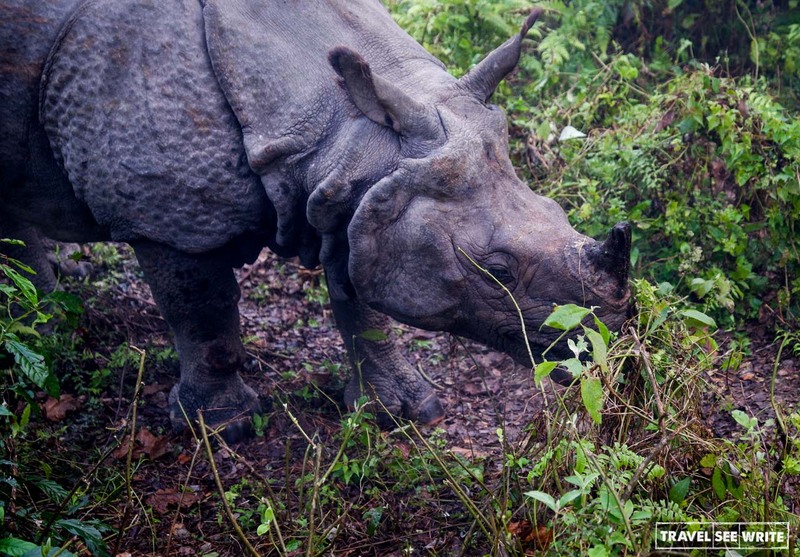 Established in 1973, this was the first national park of Nepal that became the last remaining refuges for the single-horned Asiatic rhinoceros. Moreover, you can even spot the Bengal Tiger (if you are lucky) along with other wildlife animals like crocodiles, elephants, sloth bears, leopards, gaur, otters and exotic birds among others. While the wildlife is the main crowd puller the lush foliage is second to none. 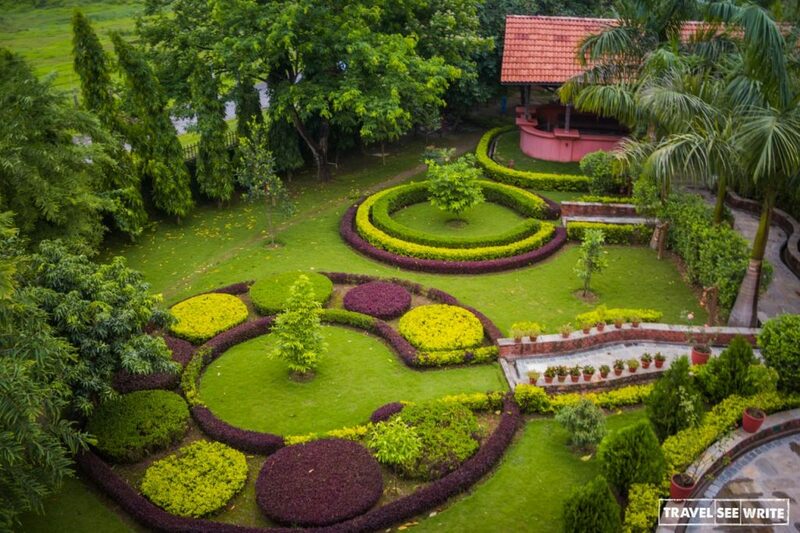 The lyrical landscapes hemmed with forested hills, flushing river, verdant vegetation and the mighty Himalayas as the backdrop makes the park an area of exceptional natural beauty and truly worthy of its status as a UNESCO World Heritage Site. Not only Chitwan National Park attracts tourists in hordes but has also become an epitome of sustainable tourism. Here is everything you need to know about planning a trip to the park. 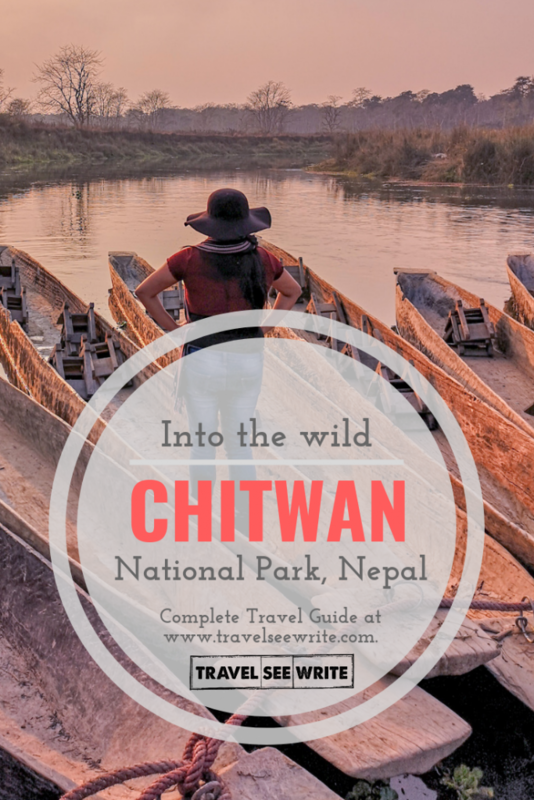 Where to stay in the Chitwan National Park? 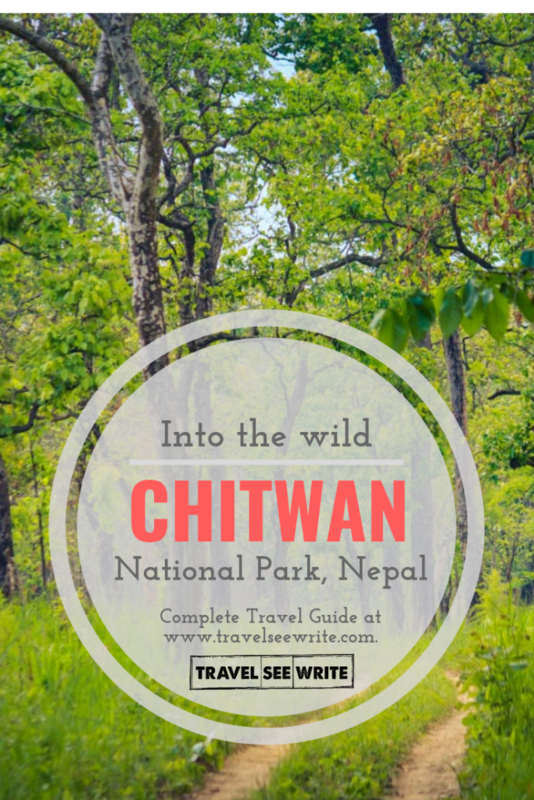 What to pack before visiting the Chitwan National Park? 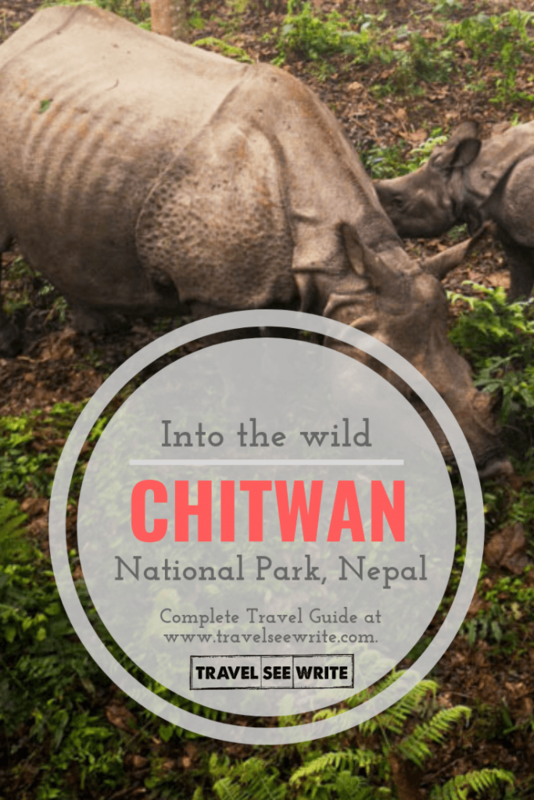 Is it worth visiting the Chitwan National Park? I ignored her comment thinking she was simply pulling my leg. But indeed they were real. They were simply not moving and just relaxing on the bank. My eyes sparkled with joy seeing so many of them in the wild. A sense of excitement and anticipation enveloped me as a few of them swam next to my canoe. I was shocked at how close they were. The long and narrow canoes that fit up to 10 people were a good place to take pictures. Though we were told that it was safe, Amandine and I talked about how easily the big crocodiles could topple us over if they wanted to. 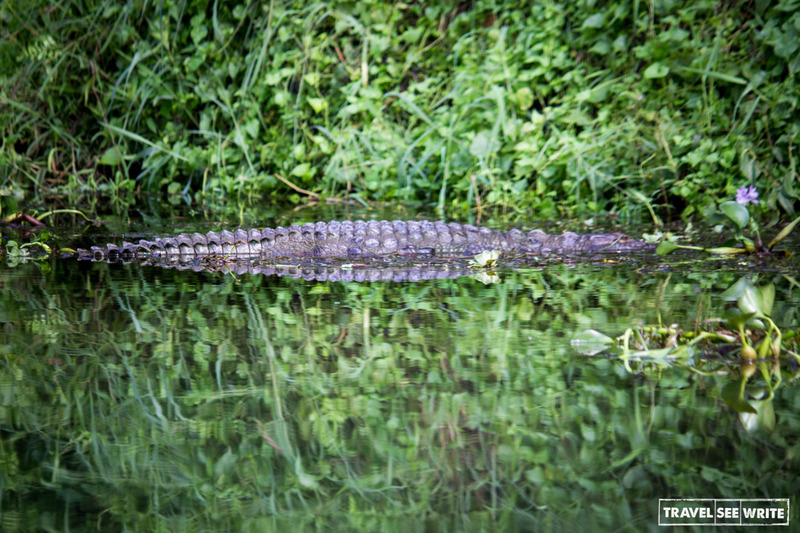 In one instance, we saw a crocodile move off the river bank and into the water, heading into our direction! We could see his round beady eyes and scaly head, and we were like OMG! They could be anywhere at any given time—literally! I believe the crocodiles here are mostly marsh mugger crocodiles that don’t really care much for nor come too close to people. 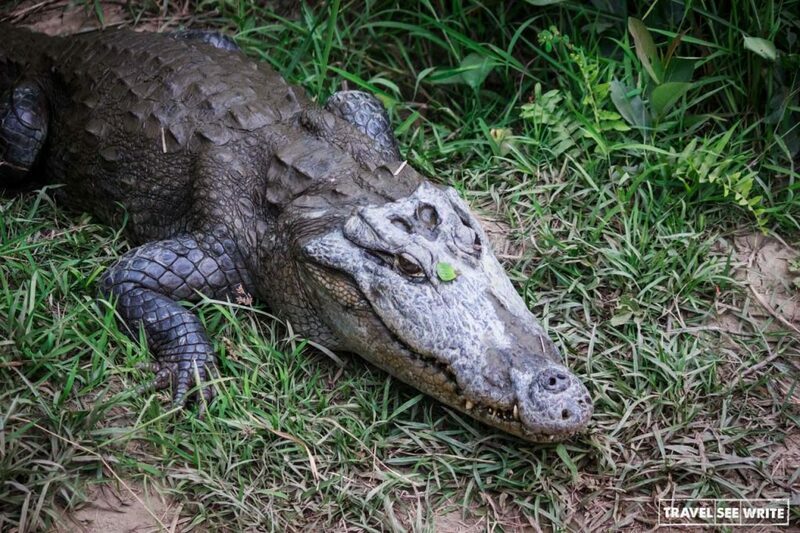 They are known to prefer fish, other reptiles and mammals. Nonetheless, they are still powerful creatures who can get defensive, if provoked, so it’s best to keep a distance. The experience was definitely worth it though. Plus, it was all the more beautiful at sunset when the orange lights reflect against the waters. Aside from crocodiles, you can also see quite a lot of birds and mammals here. 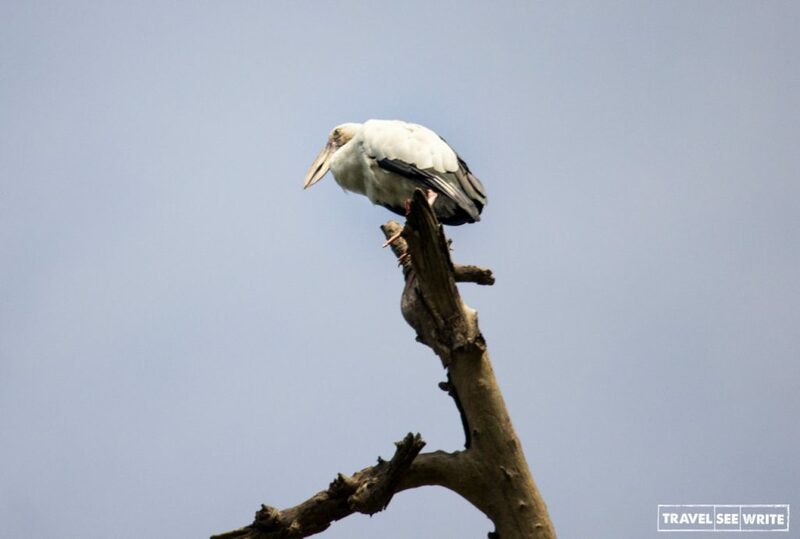 You can spot kingfisher, monkeys, and all sorts of other animals. Price: 500 rupees per person, per hour. 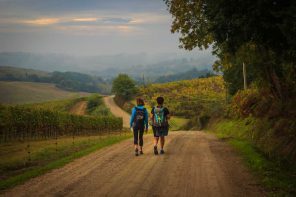 Private tours are more expensive and vary in cost depending on the number of people and length of time. If you’ll ask any zoologist or naturalist about the state of rhino populations worldwide, most definitely they would paint a bleak picture. Unfortunately, their numbers are falling at a stupendous pace and some subspecies are on the verge of extinction. However, exceptions are always there. 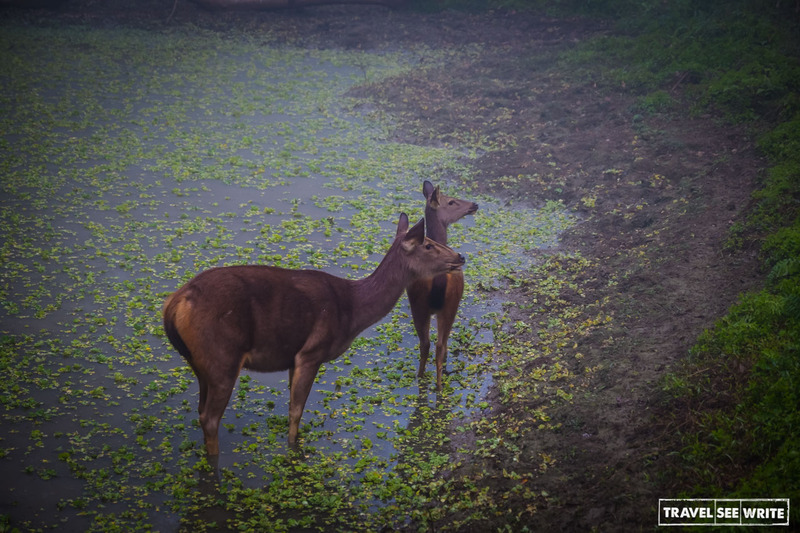 Nepal’s Chitwan National Park is one such exception. Here, the Asiatic one-horned variety is not only reversing the trend and rising, but actually thriving. We were lucky enough to see a rhino during our safari. I spent all of last year doing safaris in India and Sri Lanka, but even so, the last time I saw a rhino was back in South Africa, way back in 2014! Disclaimer: Though the internet shows pictures of a lot of rhinos in Nepal, there is a good chance you will see them, but there is no guarantee. Most of the tour guides know this and will probably inform you. We personally saw three rhinos. One of my groupmates showed me a video of a rhino sighting on the streets—right outside his hotel! The rhino experience really can vary depending on your luck and the time of day. Like all other animals, Rhinos are peace loving animals. They won’t attack you unless they feel threatened. If you see a rhino – stay behind or on a side. Rhinos don’t turn their heads. If you stand in front of them, it gives them the perfect position to attack you. So don’t! This is an hour long show which takes place in the evenings. 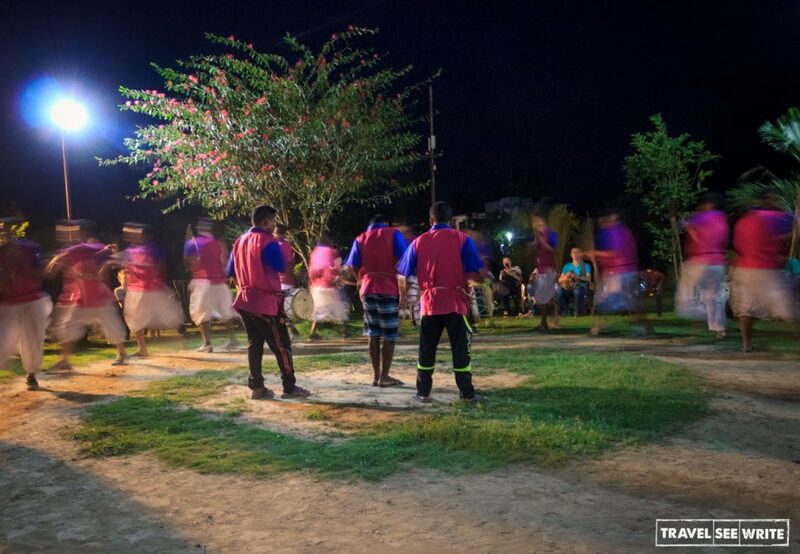 We did the same thing in Kandy, but this cultural show is rather important because you get to know all about the Tharu, which is an ethnic group indigenous to the Himalayas. Not only are they an ethnic group, —they are also considered a nationality of their own. The show gets more interesting midway. The peacock dance, fire dance, and other dances seemed to capture the audience’s attention and elicited participation. At the end, they gift a rose to a random audience member. All in all, it was a good experience. 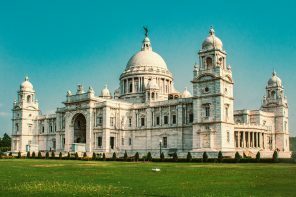 Tickets cost 200 rupees per person, particularly foreigners. 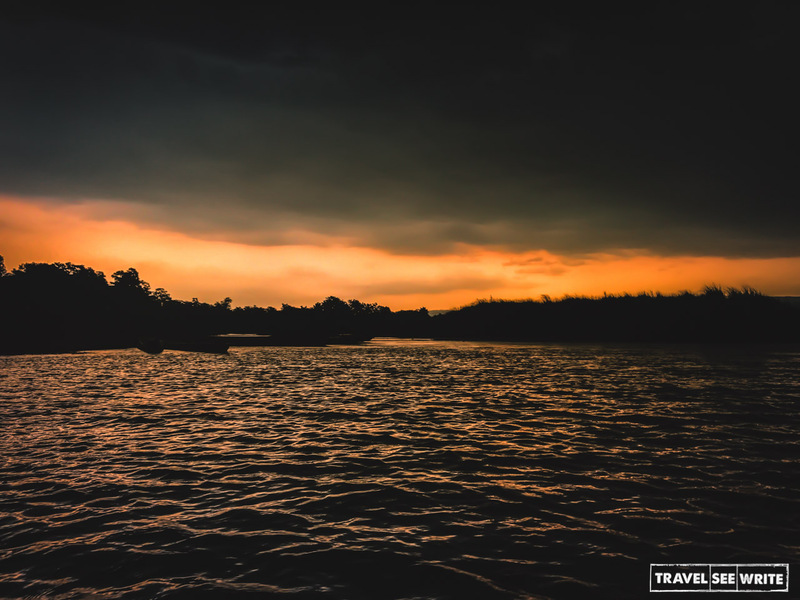 The sunset views at the Chitwan National Park are amazing and extremely calming, free from any unnatural colors brought about by pollution. Sunset and sunrise are best seen near the river with perfect reflection on the water. Tourism helps fight against poaching. By buying tickets to visit National Park, the rangers working in the area are able to have the necessary resources in order to keep poachers from killing the wildlife in the area. Not only do you get to see the beauty that nature has to offer, but you also get to support a valuable cause. We went in January during the first BITM conference and we were told it was a good time. Usually, the best times to visit are during the dry season months—particularly towards the end of the year where the Tigers gather around the sources of water. October to February is a good time to visit. Some seasons to avoid are the hot season, from March to May, where the heat and humidity can be unbearable. June to September is monsoon season, where visiting the park is difficult and pretty much undoable due to flooding. Drive from Kathmandu. As per Google maps, Kathmandu to Chitwan National Park drive takes approximately 5 hours but it can take upto 7 hours. 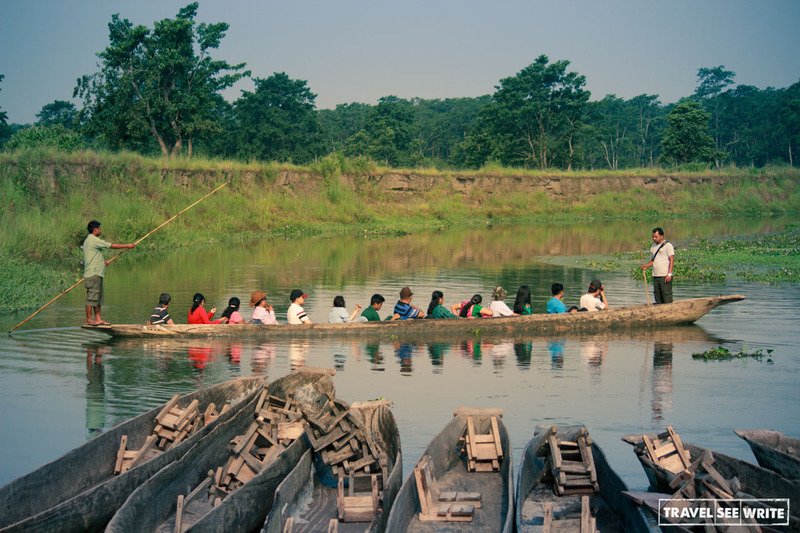 Bus – Take a bus from Kathmandu to Sauraha, where the Chitwan National Park is located. Flight – Fly to the nearest airport to the National Park, the Bharatpur Airport which is 30 minutes away from Sauraha. Jeep – This is the most expensive and common of all options. You cover a lot of distance but sometimes the noise tends to scare the animals away. A private jeep safari costs 5000 rupees per person for a group of two. Safaris with more number of people per jeep work out to be cheaper but gets too crowded and noisy. 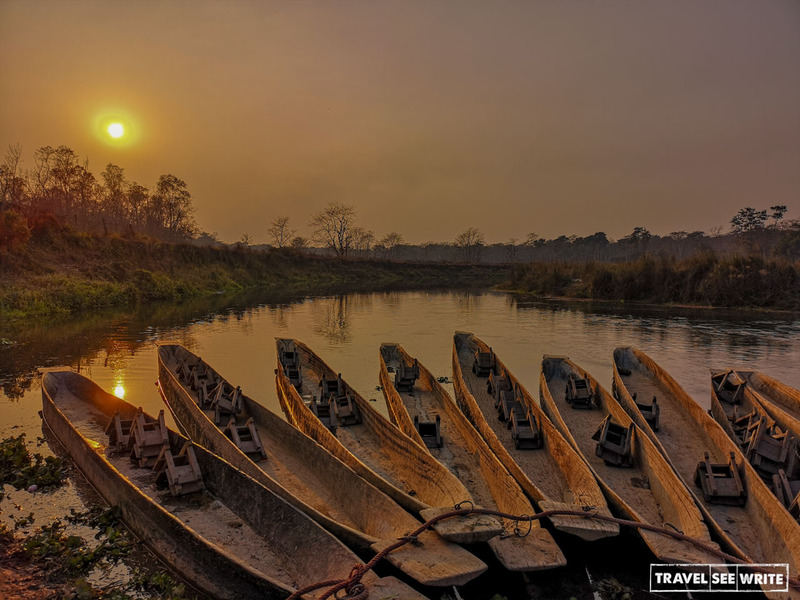 Canoe – A canoe ride through the Rapti river is the best way to explore the beauty of the park in a pristine way. A typical boat ride with shared persons costs 500 rupees per hour. 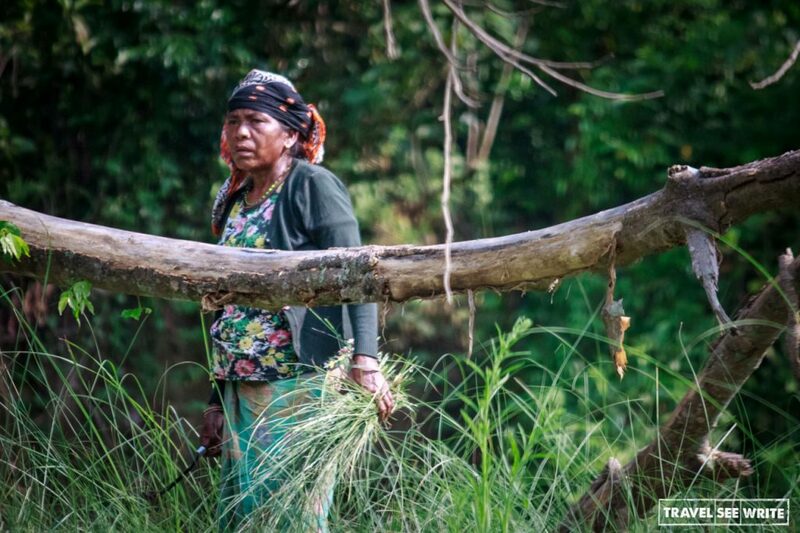 Walking – Walk through the jungle tracks to find out secrets. 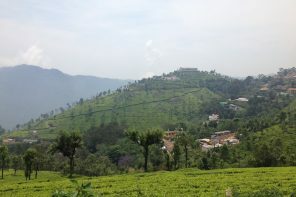 A private walking safari will cost around 2000-3000 rupees with guide already included. Be sure to cover up as mosquitoes are abundant. Elephant Riding – Please don’t support this safari method as the elephants are mostly abused — we saw how they torture the elephants to obey. It was quite sad. Sun protections: Polarized sunglasses and a wide-brimmed hat. Sunscreen lotion with high SPF. Before visiting Nepal, I was only aware of its adventure highlights but wildlife tourism is an integral and upcoming draw for the country. While there has been news of Rhinos poaching, after meeting countless volunteers, conservationists, naturalists, and forest guards I see a light at the end of the tunnel. Rather than being relegated to creatures of the past, Rhinos are definitely part of Nepal’s present and future. 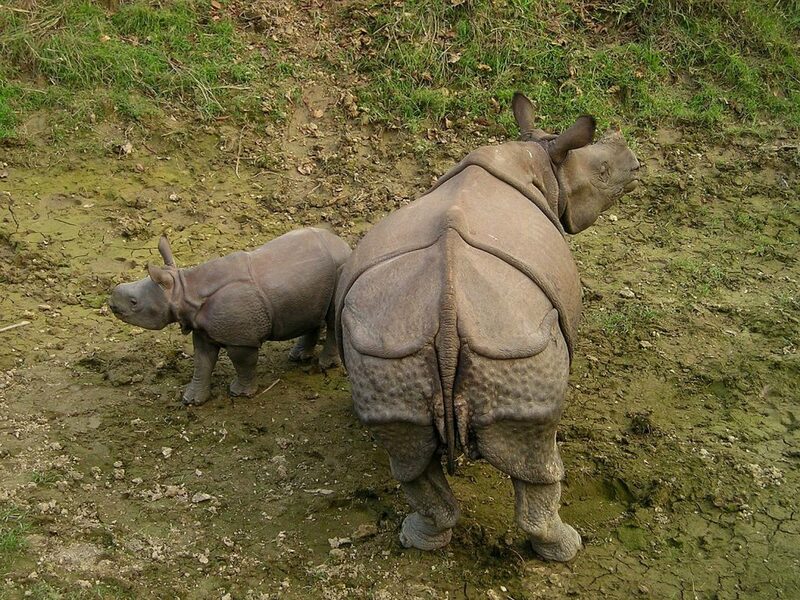 However, when you visit Chitwan National Park treat your wildlife excursion as a treasure hunt. After all, wildlife is a treasure. You should manage your expectations accordingly, especially when it comes to sighting some of the larger mammals like the rhinos and tigers. Personally, we saw three rhinos but there were others who didn’t see any at all. All in all, your sighting experience really depends on exactly which animals you’re looking for. 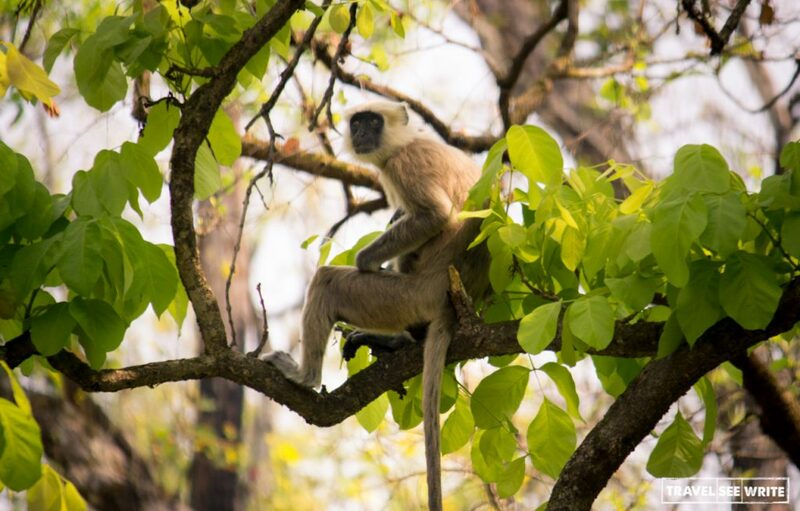 Aside from the Rhinos, you can enjoy watching other animals and learn all about the conservation of the wildlife—safaris are different in Nepal. They aren’t only about hiking and sightseeing, but also about helping out and saving the lives of the animals living in the park from poachers. 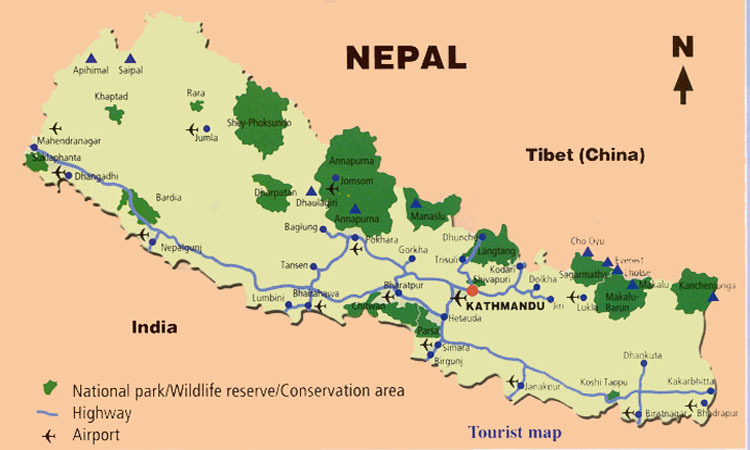 Have you ever visited the Chitwan National Park or Nepal? If yes, I would love to hear from you. Travel See Write was invited by the Nepal Tourism Board to attend #BITM conference in 2019 and #HTMNepal in 2017. 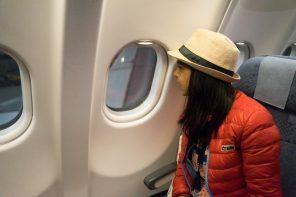 Karla Ramos from Karla Around the World represented TSW in 2019 and Archana in 2017. Everything expressed above is based on their personal experiences in the country. Images used are shot by them. Please do not copy anything without written permission. 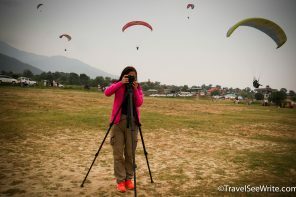 Thank you for your article I have always wanted to visit Chitwan. You haven given me great information to make an informed decision on how to visit. I will certainly look at taking the canoe ride at sunset. How lucky to see 3 rinos. I am so glad to see that entrance fees help keep poachers out of the park. If I was given the chance, I would definitely jump at the offer too. It’s a wonderful experience to explore the wildlife of Nepal. 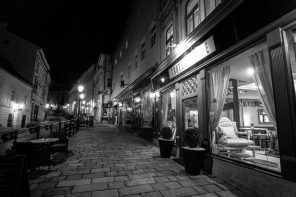 This is one of the places I have never visited but after reading your post, I realized that this unique experience is educational and exciting. Not to mention, my husband would be thrilled to see a rhino. What a fantastic adventure! 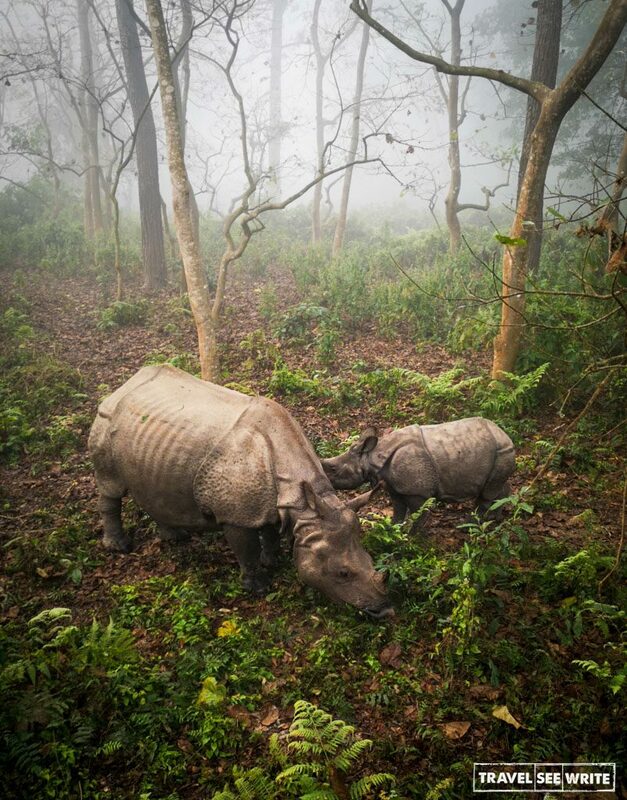 I’m so glad to hear that the rhino population is on the rise at Chitwan, and that their conservation efforts are making a difference with rhinos and the other animal species in the preserve. Thanks for the tip about how to avoid a rhino attack. I had no idea that they don’t turn their heads! Filing this away in my brain just in case I’m ever lucky enough to get close to one in the wild. You were so fortunate to see three of them! That looks like a really beautiful place. When I think of Nepal I never think of a forest. Beautiful words and description. Made me feel like I was there! You put Nepal on my bucket list and gave me my first location of adventure while there. What a cool journey you got to take! I would love to visit Nepal one day. Thank you for the wonderful tips. Wow, that’s a gorgeous view and what an adventure! I love seeing nature in all it’s glory! Thanks for the information on Chitwan National Park. I have heard of it but never really read about it. You have nicely summarized all the needed info to visit the beautiful national park. The entrance fee and Jeep safari do not cost much. I am interested in checking this place when in Nepal. I’ve never heard of Chitwan National Park before, but it’s incredible. Can I say I also love your sunset photos, they’re mesmerizing. It’s also good to know there are many accommodation options there too. Nepal is such a pretty little country. 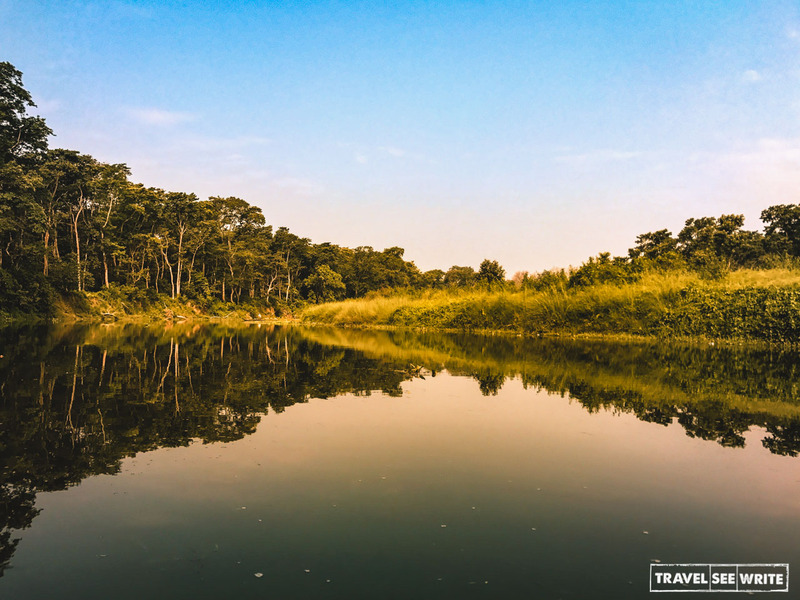 Chitwan National Park looks out of the world. Those photographs are awesome. I like how such a rich experience comes out of such low prices. Canoeing in that lake to see crocodiles sounds like such a great idea- I am so in awe of those creatures! Also, never seen a one-horned rhino. 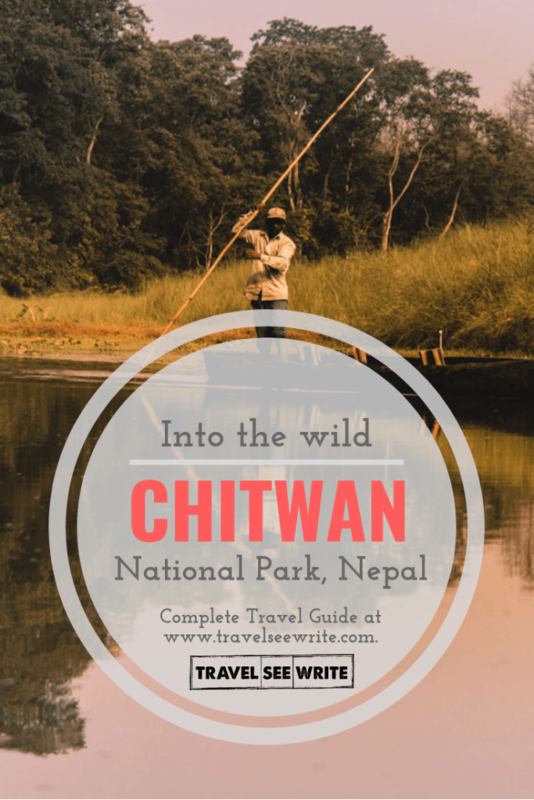 Chitwan National Park seems like a great way be in the wilderness. I also love the sunset/sunrise capture on the lake. Wow! This place is a total stunner!!! To be actually able to see a one-horned rhino with your own eyes is such a blessing! I should really plan my trip to Nepal. Oh gosh, I would not have wanted to get that close to a crocodile OR a rhino! The canoe cruise looks lovely though, and I can imagine how beautiful it would be during sunrise or sunset. And love that proceeds to the park go toward helping the rangers combat poaching – I love when my money goes toward a good cause! 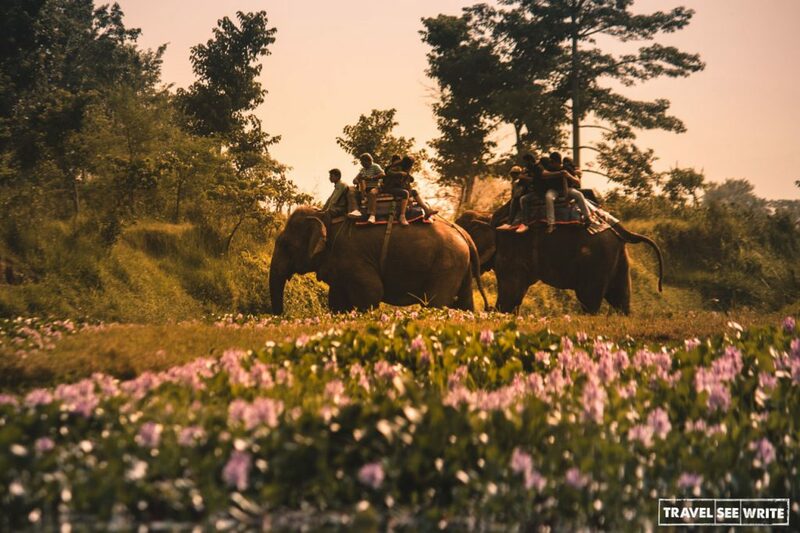 Thank you for sharing your experience in Chitwan National Park. I want to visit this park with my son. Surely, he will enjoy seeing rhinos! Hope this wildlife will be preserved for the next generation.